Lionel Messi's stunning free-kick helped Argentina give their World Cup qualification hopes a timely boost with a 3-0 win over Colombia. 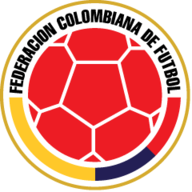 La Albiceleste went into the game at San Juan sixth in the South American qualifying table, with the top four qualifying automatically for Russia 2018 and the fifth-placed side entering a play-off against the top Oceania side. 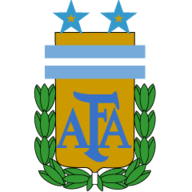 However, goals from Messi, Lucas Pratto and Angel Di Maria helped Argentina end a four-match winless run and leapfrog their opponents into fifth. After seeing his side thrashed 3-0 by Brazil last week, Argentina manager Edgardo Bauza made three changes with Manchester City full-back Pablo Zabaletta among those to make way. Nicolas Otamendi headed a Messi free-kick over the bar early on, but the Barcelona forward soon took matters into his own hands as he curled in a 25-yard effort on 10 minutes which clipped the bar on its way in. Radamel Falcao headed over James Rodriguez's free-kick and Argentina capitalised on that let-off as Pratto headed home Messi's cross from the right in the 23rd minute. Di Maria hit the post in the second half but eventually got his name on the score sheet after 84 minutes, with Messi again the provider as he cut the ball back for the Paris Saint-Germain forward to fire into the roof of the net. Argentina's next qualifier sees them host Chile - the side one point and one place above them in the final automatic spot - in March, while Colombia will have the chance to bounce back against struggling Bolivia. Upgrade to Sky Sports now to watch Man Utd v Arsenal this Saturday and get the first six months half price!